Fire provides us with warmth and security and the power to change matter, but it also has destructive potential. These aspects of technology have been nurtured by the Kohila International Ceramics Symposium as a possibility for creating contemporary art; 2015 is its 15th anniversary. This is a remarkable achievement for a country with no great clay deposits and no history of high-fired ceramics. It represents a unique contribution to the establishment of an international network of artists who wish to express themselves through clay and who are committed to the exploration of the possibilities of wood-firing to realize their intentions. 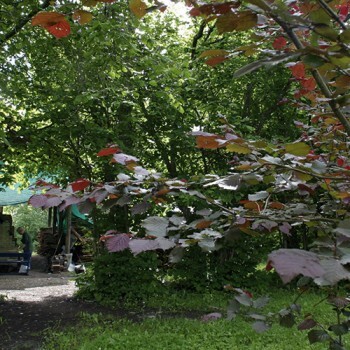 The symposium is sited close to Tallinn, at the Tohisoo manor in Kohila, set in beautiful countryside. The participants are drawn from both local and internationally recognised practitioners, and the aim is to achieve a balance between experienced and emerging talents. The initiative for organizing the first ceramics symposium in 2001 was taken by the kiln master Andres Allik. 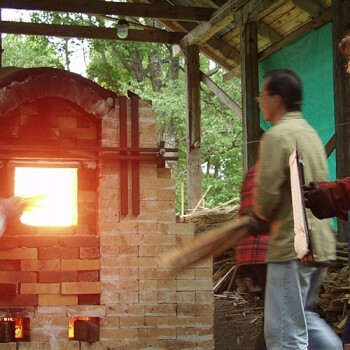 Later the Estonian Ceramists Association was invited to help with the organization (the original kiln was rebuilt in 2014). 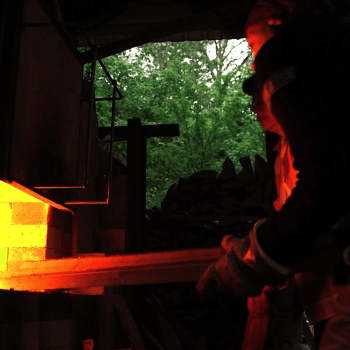 The one chamber kiln (in Japanese, anagama) takes about 30 hours and four cubic meters of timber, mostly softwood off-cuts, to reach yellow-white heat throughout the kiln. The spontaneous effects resulting from flying ash and vapors that characterize wood-fired ceramics replace much of the need for glazing and special surface treatment. Thus the artist’s work is an expression of sculptural intent tested by extreme heat. 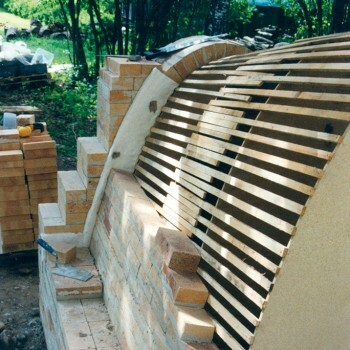 A kiln is a connecting focus which links the participants in collaborative action: an ancient process where relays of firers must watch over the slow buildup of temperature. Thus sociability and the performative quality of the firing are fundamentals in the consideration of the artistic outcome. Our most fundamental relationship with the world involves using it (what Heidegger calls its ‘ready-to handedness’). 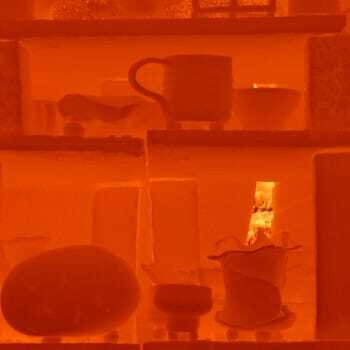 Fire contained by a kiln is just such a tool; its use allows objects fashioned from clay to be brought into the aesthetic world, as well as into the world of function. In addition, the utilization of fire in creating art can also have a symbolic value, since fire can have a ritualized effect on matter: fire is one of the central discoveries made by our ancestors and through its use we are permitted to enter this ancient atavistic realm and employ its symbolic ability to both physically and chemically effect change. Thus the artist can employ that passage of flame across the surface of the work and the marks indelibly left from that change to symbolize transformation in his or her work. In the anagama kiln, the stoking and the piling of ash creates resonances with the creation of culture (and also its demise). The fir- ing of clay represents a way in which flame is made manifest, and yet it still represents the Apollonian control of fire, as opposed to the Dionysic destruction wrought when fire threatens to destroy a city. Nietzsche developed this polarity: the controlling aspect is named after the sun god and is represented by what we would now, perhaps, describe as the conscious ego; the Dionysic is the uncontrolled urge, the wildness that is manifest in unconscious expression. Dionysian Fire striking out across a clay body in a firing can complement, contrast with, or ruin carefully fashioned Apollonian Clay. Our sustenance depends on cooking. Claude Lévi-Strauss in The Raw and The Cooked – his study of the myths of South American Indians – shows how for them a meal – ’real’ food – had to consist of cooked food, and his analysis shows that in these myths it is clear that raw=natural, cooked=culture. There is a strong kinship between food, its cooking and preparation and ceramics. This is also reflected in language. In many cultures there is an overlap between the words for kiln and cooking place. The etymology of the English word kiln comes through the Latin and Italian word ’cucina’, which also gives us ’kitchen’ and ’cooking’. The words for ’kiln’ and ’oven’ are the same in French, Spanish, Italian, German, Estonian. (’four’ in French, ’horno’ in Spanish, ’forno’ in Italian, ’Ofen’ in German, ’ahi’ in Estonian) etc. We can trace the route back through language; one can hear the words ’fire’, ’furnace’ and ’cooking’ within this etymological maze and find traces of the common heritage of firing, cookery and thus culture. Since an anagama has no separate firebox (which might protect the clay from attack by smoke and flame), the artists are taken back to an earlier quality of firing, where the surface of the clay is directly struck by the flames of the wood fuel, instead of being protected from them, leaving marks of their passage through the stack of ware in the kiln, as the ash fuses with the surface of the clay. The anagama firing is in a kiln where the work is isolated to retain the extreme heat; it took 2 days heating and 2 days fast cooling in Kohila. The work was only revealed after being locked away for almost a week. It was a fast version of an anagama firing, which in some cases can last much longer. 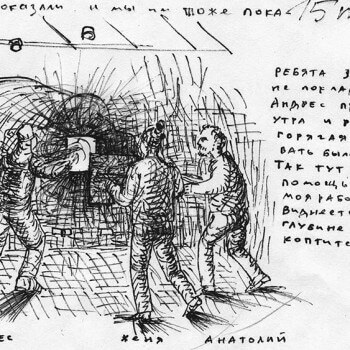 Working with such a kiln creates an opportunity to deepen the vocabulary of the embodied narratives of firing, since it provides a more profound marking of clay by fire through the highest possible temperatures and duration of firing; in addition there is exposure of the clay body to fly-ash, cinder burning and introduced combustibles. This is maximal ’cooking’ in Lévi-Strauss’s terms. 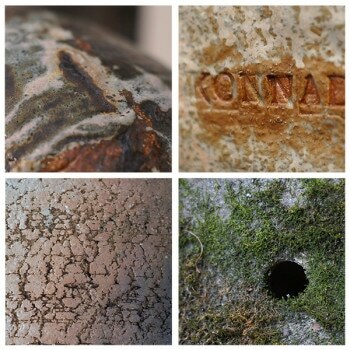 Kohila International Ceramics Symposium takes place since 2001. 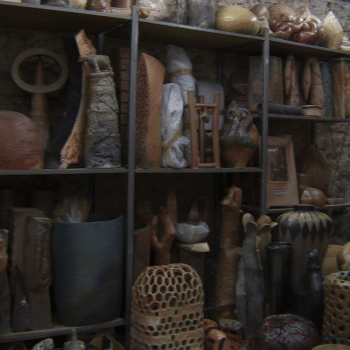 It focuses on wood-firing ceramics technique, promoting it among ceramicists and sculptors. 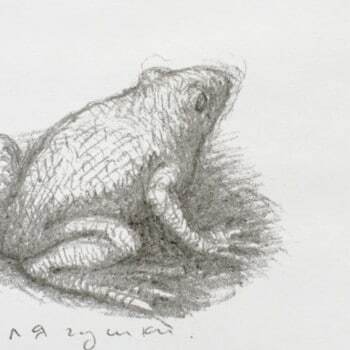 David Jones is an artist and writer. He is a member of the International Academy of Ceramics and the Craft Potter Association of the UK. He teaches in the BA and MFA courses in Applied Arts at the University of Wolverhampton. He is the author of Raku – Investigations into Fire, and Firing – Philosophies within Contemporary Ceramic Practice (both published by Crowood Press).